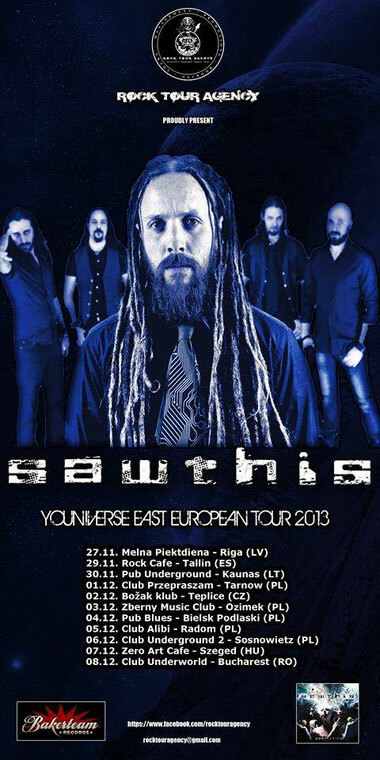 Italian Modern Thrash band SAWTHIS which was featured on this site, is ready to go on a Youniverse East European Tour which will be started on November 27th. The band will visit to play in 12 cities and 7 countries: Latvia, Spain, Lithuania, Poland, Czech Republic, Hungary and Romania. See more info about the tour on SAWTHIS facebook page and the album "Youniverse" on this section.